Christmas is all about indulging, eating too much, drinking too much and having a lot of fun, but it’s easy to take it for granted not everyone can enjoy Christmas like this. So if you think it would be better to perhaps do something to make Christmas better for others this year we have a few ideas for you! This is a fairly simple one and won’t interrupt your Christmas plans! It’s great to have all of your family round at Christmas but you may know someone, perhaps a neighbour, friend or colleague who is going to spend Christmas alone, so why not invite them along to join your Christmas day? It’s always fun to have someone extra at Christmas and could mean the world to them, the more the merrier! This has always been a popular way to help out over Christmas, but what people often forget is that it’s not just Christmas when help is needed, it’s all year and particularly in the cold months of January and February. This image shows the volume of searches on Google for ‘homeless volunteer’ over the years, you’ll notice there is a huge spike each December with people wanting to help, but it goes to show that help would be much appreciated all through the year! If you’d like to find out how you can volunteer throughout the year have a look at the Salvation Army website. December is the busiest month for food banks with almost 50% more referrals from Citizens Advice and other organisations. Why not take part in #foodbankadvent which is a reverse advent calendar, so instead of eating a chocolate from your advent calendar each morning (although technically you still could!) 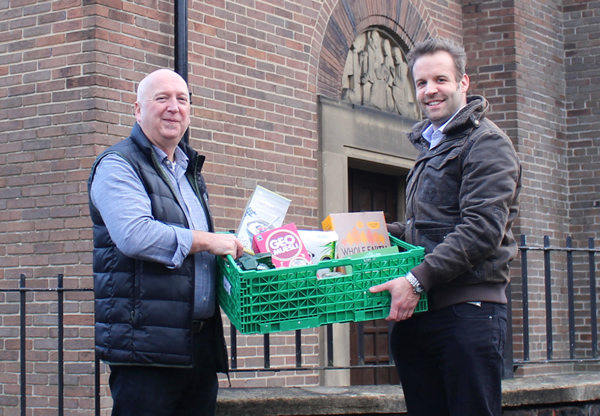 you donate an item to your local food bank every day in the run up to Christmas. 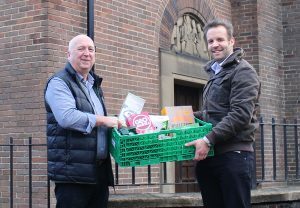 We support our local foodbank the Newcastle West End Foodbank with our Food Bank Friday campaign and through checkout donations, visit the Trussell Trust site to find your local foodbank and all of the different things you can do to help. If you’ve got a dog then going for a walk is kind of a tradition every day, Christmas or not! But did you know could take a dog for a walk to help your local animal shelter? Find out more about volunteering for dog walking with the RSPCA. 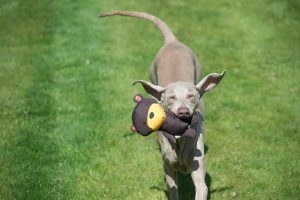 Some dogs have come from very troubled backgrounds so by walking them you can help them socialise with people and other dogs which can help them find a new home. Walking dogs can also be hugely rewarding for yourself both mentally and physically. Of course there is a lot more you can do to help out at your local animal shelter, if you don’t have the time to spare you can always donate blankets, towels, toys, and treats. Find out more ways to donate to Battersea Dogs and Cats Home . It’s not always easy for everyone to be able to donate money to charity or to be able to give up time to volunteer, so one great way of doing something amazing is to give blood. There is always a demand throughout the year so click the relevant country link to find out how you can give blood: England & N Wales, the rest of Wales, Scotland and Northern Ireland. Tell friends you don’t want presents! OK bear with me here… if you are often stuck with ideas of what to get someone every year, they probably have the same problem when picking a present for you. So why not pick a charity you would like people to donate to on your behalf, this way you don’t get lumbered with that really odd present you didn’t want and don’t have to pretend to be delighted to see it! Sometimes you simply don’t really need anything, how many times have you been asked what you would like for Christmas and you really can’t think of anything that you feel you really need. Well there is an easy solution, simply let all of your family and friends who normally buy you presents that you’d prefer them to give a donation to your favourite charity instead. This can really make a difference if you have a business behind you! You can of course encourage your work to make donations but you could do potentially do something different and use the skills from your place of work to help. What’s more it can be great publicity for your business so everybody wins! 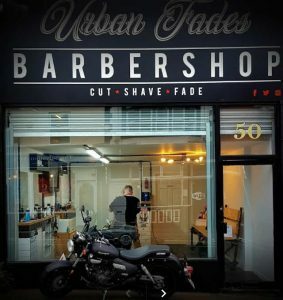 A great example is Urban Fades, a barbers in South Shields who gave free haircuts to homeless people last Christmas! If you have a skill, specialist knowledge or are simply good at what you do, perhaps you can share this and use what you can do to help others! Looking forward to Christmas and making it a fun time for yourself is certainly nothing to feel guilty about, but over the years as you grow up it becomes less about you and more about others. Remember back to when you were young, Christmas was an amazingly exciting time and in your mind it was probably entirely centred around yourself and what presents you would get! So it’s a great idea to get your children to see the world doesn’t just revolve around them, Christmas is about helping other people as well. They are too young to be buying presents so why not get them to make presents for family members, this gets them to think about others, and what they would like, not just which toys they want for Christmas. Send a gift to someone living in poverty around the world. The idea is simple, fill a box with toys, school supplies and treats and make someone’s Christmas! 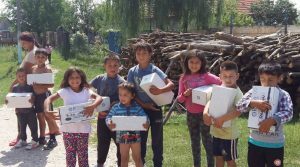 Visit the Salvation Army website for more information or have a look at the Rotary Shoebox Scheme who ship the boxes to Eastern Europe and have sent over a million since the scheme was started.